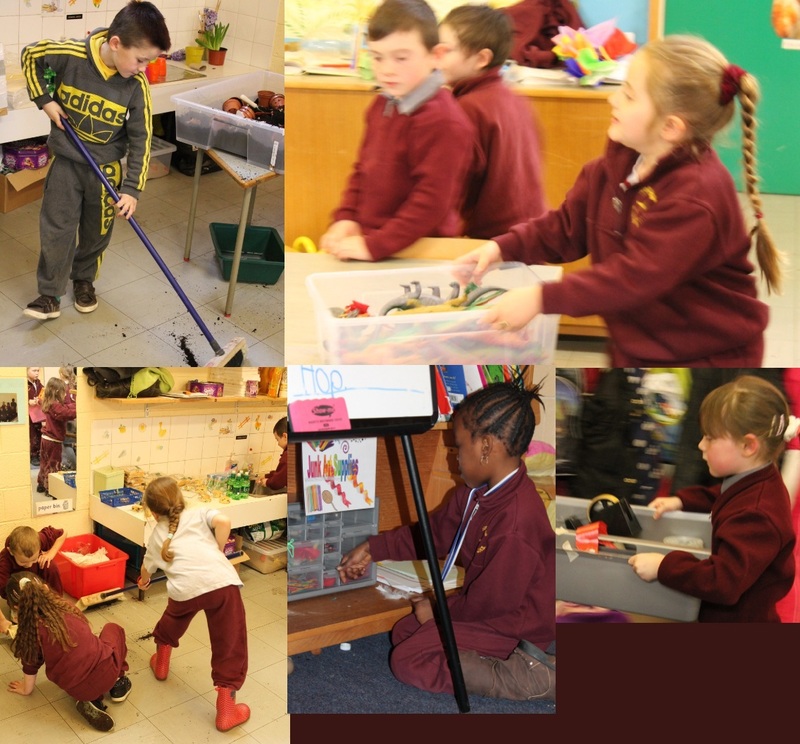 When we first began with our Aistear scheduled play times, the biggest problem I faced as a teacher was encouraging the children to embrace their independence. The Aistear framework advocates that children should take as much ownership as possible in their own learning. 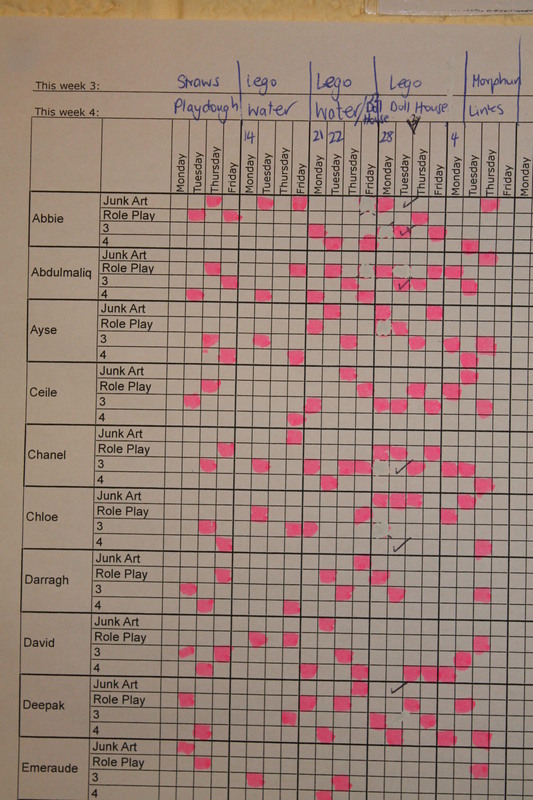 Within Aistear play time, this meant encouraging the children to feel an ownership of the resources within the classroom, so that they a) felt free to use whatever was necessary to augment and maximise the play experience, and b) began to appreciate the role of responsibility they hold in the good maintainence of the resources. I have tried to allow the children to feel out this freedom for themselves, as I did have concerns that an announcement at the start of the year that Anything Goes, could translate to a Free For All. 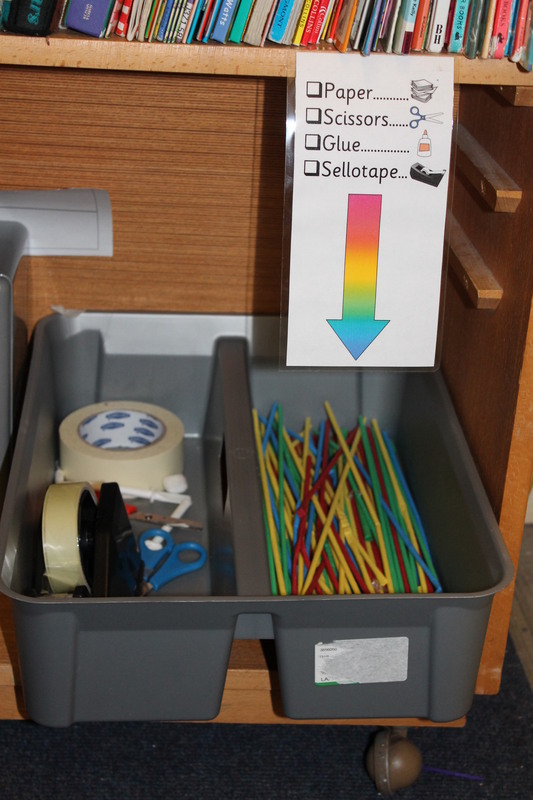 As such, most children still ask tentatively before using something that hasn’t been clearly designated as belonging to a given area, but it is catching on, and the children have begun to realise that if there is a good reason to integrate a particular toy or resource into their play, I am unlikely to refuse. 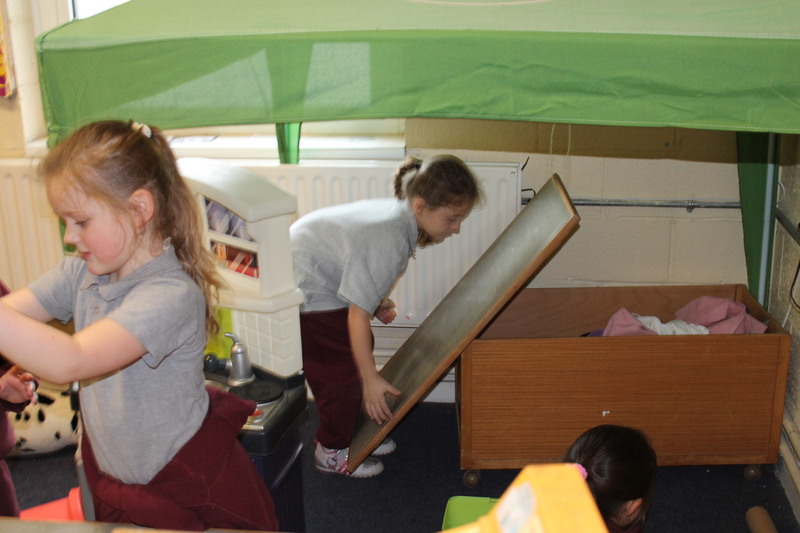 Most recently, the children have started to move the furniture in the role play area to suit their needs, something that they wouldn’t have considered earlier in the year. The role play area expanded somewhat on this day to allow space for the builders to work and the Mammies to look after the babies. 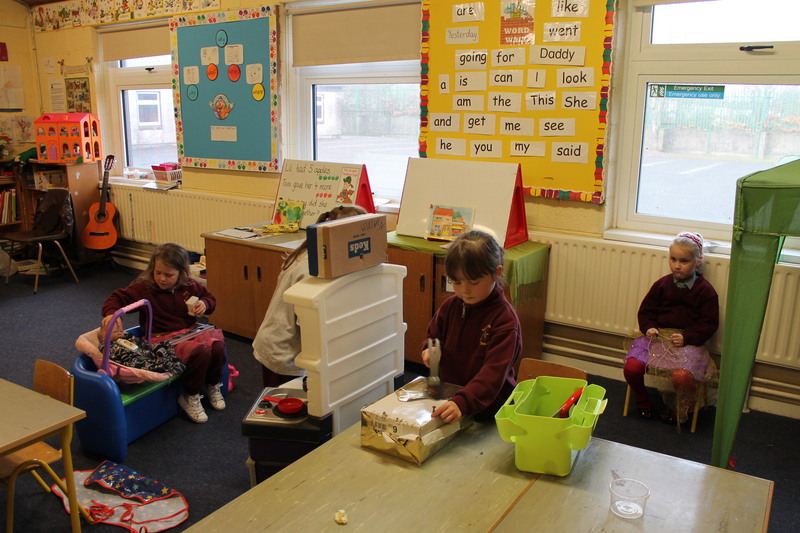 Independence has developed too, in terms of the children’s ability to set out their toys and tidy away efficiently. In the beginning, both I and Nicky; our SNA; had to resist the adult impulse to help the children with everything in order to speed things along. They now confidently and competently carry out this daily business and only look to the adults for help when it is genuinely necessary. – those same children now spend time outside the classroom considering what they are going to make and come in to school with a clear vision of their intentions. It is exhilarating to watch the child who lacks the confidence to speak out in class creating a masterpiece and confidently explaining what every last button represents! 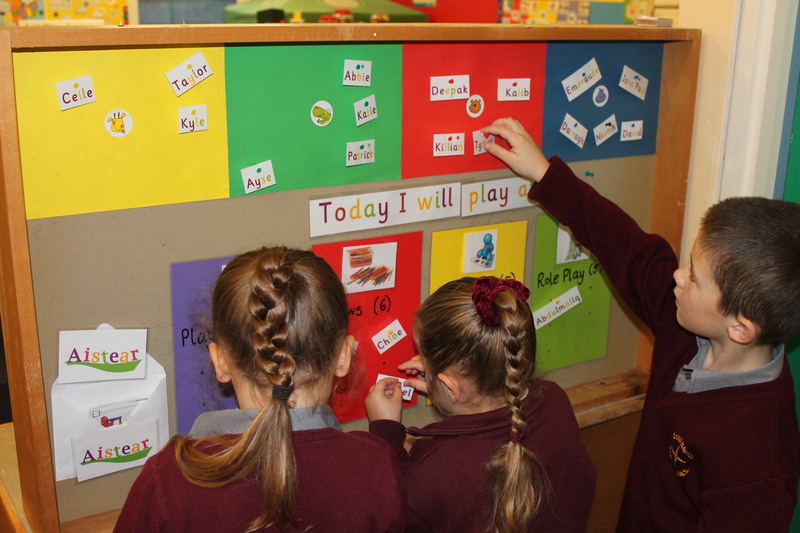 In recent weeks, the children’s independence has grown further as we have done away with our Play Rota and the children now have the freedom to choose which of the areas they would like to play at. We sometimes vote using Tally Marks on which play stations we would like to have for the week. Children self-register upon arrival in the classroom each morning. I keep track of the stations chosen each day to ensure that each child is exposed to the learning at every station. Our most recent step towards independence has been my taking a back seat as teacher and allowing the children to do the talking. It is easy for me as a teacher to spend the whole day doing all the talking. In an effort to give the children more of a voice I have handed over post-playtime Show and Tell entirely to them. Each child with a piece of Junk Art to show presents their piece and leads a Q&A session with their classmates, while I sit out and say nothing. Initially, this was hard for the children to accept – after each answered question, all children turned to me for a cue as to what came next. My response to this was to look expectantly at the Q&A leader to indicate that the ball was in their court. It has been very satisfying watching the children’s confidence grow and to see them asking considered questions of their classmates’ work. I look forward to watching this independence blossom over the coming months. 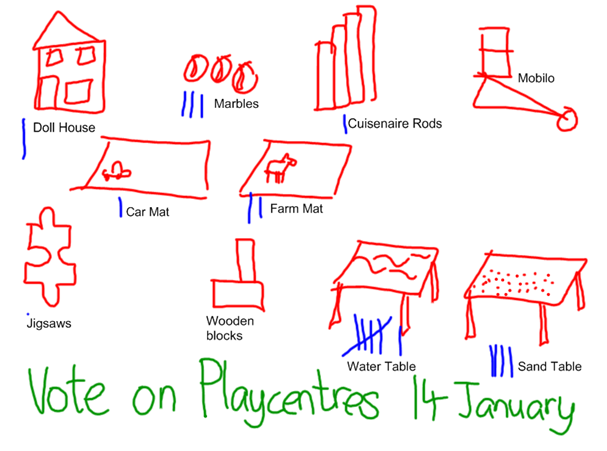 This entry was posted in Independence and tagged Aistear, Aistear Document, Freedom, Independence, IWB, Responsibility, Self-Register. Bookmark the permalink. Check out this link for other edu-related blogs!